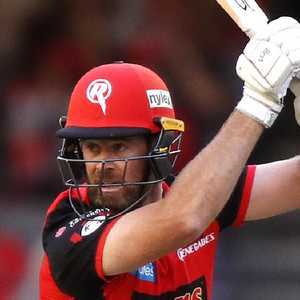 News-Mail (Bundaberg, Australia) – Melbourne Renegades star Dan Christian has asked Cricket Australia to introduce an Indigenous Round into the Big Bash League next season. Melbourne Renegades star Dan Christian has asked Cricket Australia to introduce an Indigenous Round into the Big Bash League next season. Christian wants all franchises to get behind the idea and wear unique indigenous strips as part of a grander plan to help cricket poach some leading talent from rival sports. “I’ve spoken to Cricket Australia a fair bit recently and they’re really receptive about the idea,” Christian told the Herald Sun. Christian, 35, has held talks with BBL boss Kim McConnie and Cricket Australia community diversity and inclusion manager Adam Cassidy. “Hopefully we can drag them over to cricket, because we’ve seen so many superstars in other sports so I’m sure there’s some talent there to burn that we can hopefully bring over to cricket.